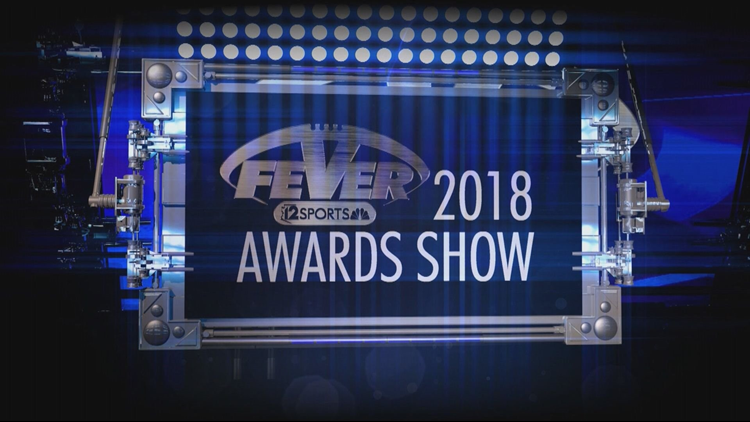 The annual Friday Night Fever Awards recognized Valley high school football athletes as well as coaches, teams and even nachos after what was an eventful season for them and our 12 Sports Friday Night Fever crew. The junior defensive back had 93 total tackles, 46 solo and four tackles for loss. Young also had three interceptions, a blocked field goal and 14 pass breakups. While Young is being recognized for his defensive abilities, he also had nearly 1,400 all-purpose yards and 16 touchdowns as a running back. Young was the leader on one of the fiercest defenses in the state, which had five shutout games on its way to a 14-0 record and a state title. Notre Dame Prep's Jake Smith had an absurd 39 total touchdowns this season between receiving, rushing and special teams. He accounted for 2,400 all-purpose yards, including more than 700 yards rushing and more than 1,000 yards receiving. Smith's talents have scored him an invite to the Under Armour All-American game this year highlighting the nation's top recruits. Smith will be heading to the University of Texas next year. He's the No. 2 recruit in Arizona and the No. 12 wide receiver nationally, according to 247Sports. 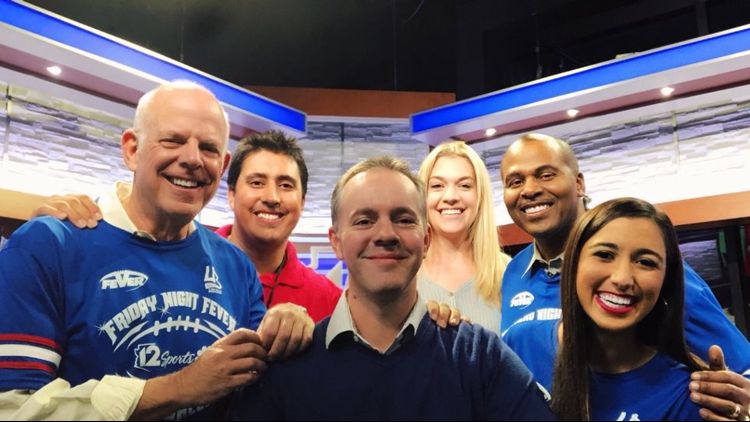 The 29-year-old former Arizona State and Arizona Cardinals wide receiver stepped into coaching this year, taking over an Arcadia team that didn't win a game last season. Kerry Taylor inspired his players this season. Arcadia finished 6-4, the first time the team has won six games in four years. The team averaged 35 points per game, 12 times more than last season's average. Offensive Line: Tosh Baker, Pinnacle; Roman Dewys, Basha; Carson Keltner, Centennial; Jelani Newman, Saguaro; Brayden Rohme, Perry. Tight End: Brayden Liebrock, Chandler. Wide Receiver: Jake Smith, Notre Dame Prep; Tommy Christakos, Chaparral; Hendrix Johnson, Boulder Creek. Running Back: DeCarlos Brooks, Chandler; Kevin Daniels, Glendale; Anthodius Ashley, Betty Fairfax. Defensive Line: Ty Robinson, Higley; Braxton Croteau, Liberty; Brett Johnson, Desert Vista; Nassir Sims, Desert Edge. Linebacker: Dylan Wampler, Centennial; Tate Romney, Chandler; Connor Soelle, Saguaro. Defensive Back: Jaydin Young, Centennial; Kohner Cullimore, Highland; Noa Pola-Gates, Williams Field; Andre Johnson, Tolleson. Kick/Punt Returner: Juwaun Price, Peoria. Jace Accurso's game-winning touchdown run for Liberty. Northwest Christian's game-winner in the third overtime of the 3A state title game. Chandler's two-point conversion in overtime of the 6A semifinal to go on to the state title game.